Manchester City are doing very well this season, topping the premier league table and that too by a margin playing probably the best football in Europe and also qualifying for knockout stages of Champions League under Pep Guardiola. Off the pitch they are about to sign a club record kit deal with Puma from 2018-19 season which will be worth around £50 million a year ditching their current kit suppliers in Nike. Manchester City Puma Kit Deal: Negotiations with Puma are in advance stages and club is likely to sign the new deal as soon as January 2017. The current deal with Nike runs till the end of this season worth a mere £20 million a year. However Manchester City has invested heavily in recruiting players which in return have raised their profile both on and off the pitch. City hierarchy is looking to cash on all available sponsorship opportunities and with Nike reluctant to considerably improve the current deal City are looking elsewhere to get the financially better kit deal to match with other big clubs in Europe. Currently Manchester United’s £75 million a deal with Adidas is the most lucrative around the world but Nike’s new deal which starts from 2018-19 season with Barcelona will set the standard which is worth £100 million a year. Clubs like Real Madrid and Paris Saint Germain are also looking to get better deals and in couple of years when all the big teams renew their deals £50 million won’t be a big number. So Puma are ready to pounce if City fail to materialise a deal with Nike and reports suggest Puma consider City to be top team for years to come and they are willing to offer £50 million a year to Manchester City. Puma are paying around £30 million a year to Arsenal and if they do get City contract worth £50 million a year it will be a big investment in a team which has alot of potential. 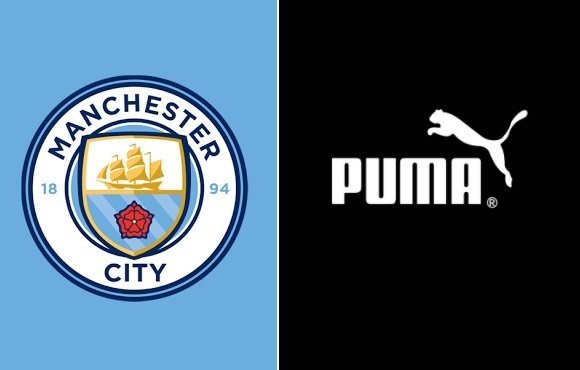 However Under Armour and New Balance are the other two big brands who are looking to get City’s signature but Puma are in driving seat as the reports suggest in English media.